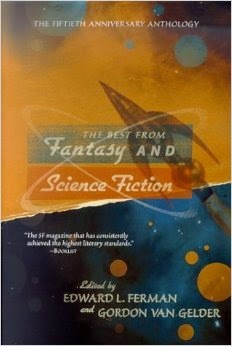 The Best from Fantasy & Science Fiction: The Fiftieth Anniversary Anthology ed. 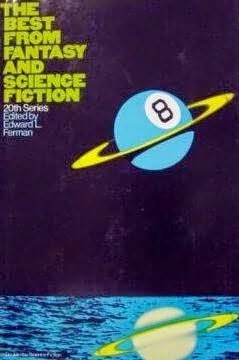 Edward L. Ferman & Gordon Van Gelder (Tor 0-312-86973-8, Oct ’99 [Sep ’99], $24.95, 381pp, hc) Anthology of 21 stories that appeared in the magazine from 1994-98. 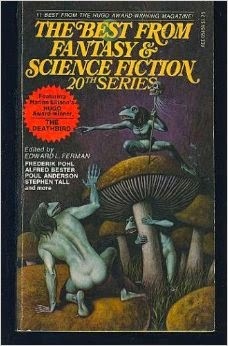 Authors include Kate Wilhelm, Ursula K. Le Guin, Bruce Sterling, and Gene Wolfe. 64 · Maneki Neko · Bruce Sterling · ss F&SF May ’98; originally published in Japanese in Hayakawa S-F Magazine.